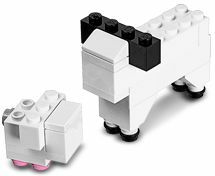 Build a free Mini Model of a lil Lamb @ Lego Stores Tuesday, April 2, begins at 5:00 pm until supplies last. Just click the link below to go to the Lego Store News website to read the details of this store build for April. My lil boy loves Legos. Happy Building!